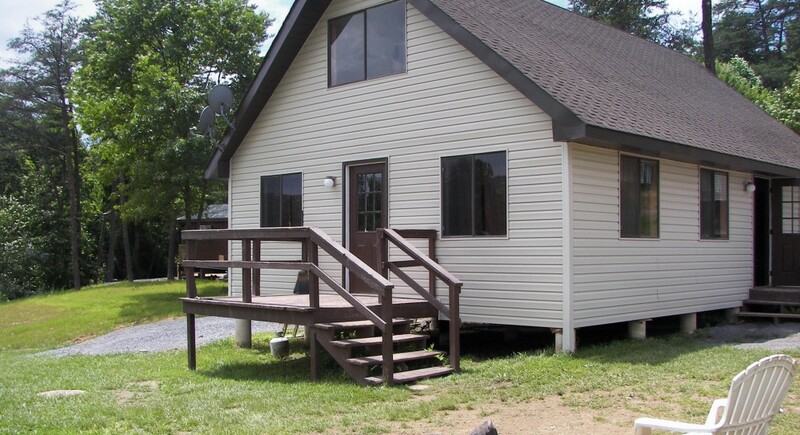 Big Cabin: This cabin is 2 stories, with 3 separate sleeping areas, along with 2 full baths and a full kitchen. 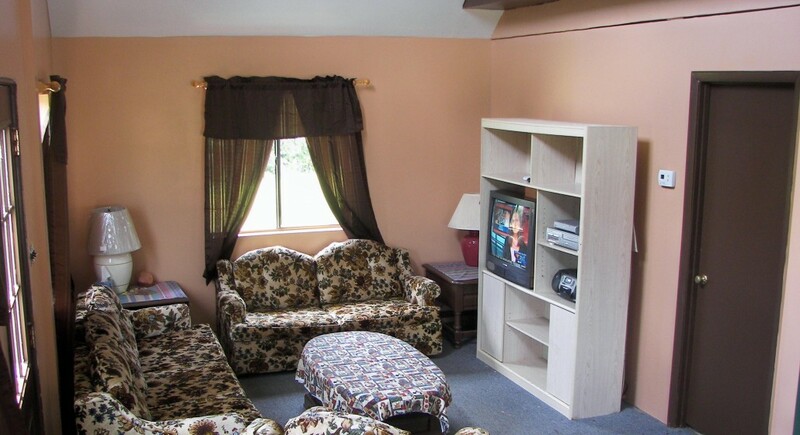 There is a living room with plenty of seating and satellite tv/vcr/dvd player. Outside is a grill and fire pit with a great view of the tracks and easy access to the dining hall and volleyball field. 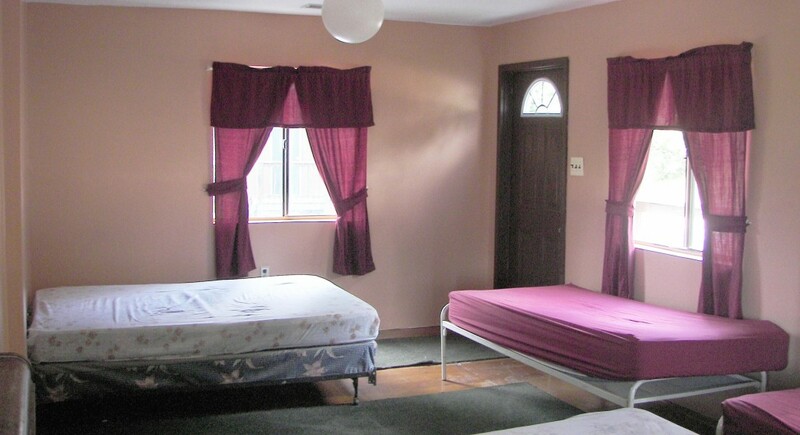 One bedroom has a queen sized bed along with two single beds. All other beds are single beds. 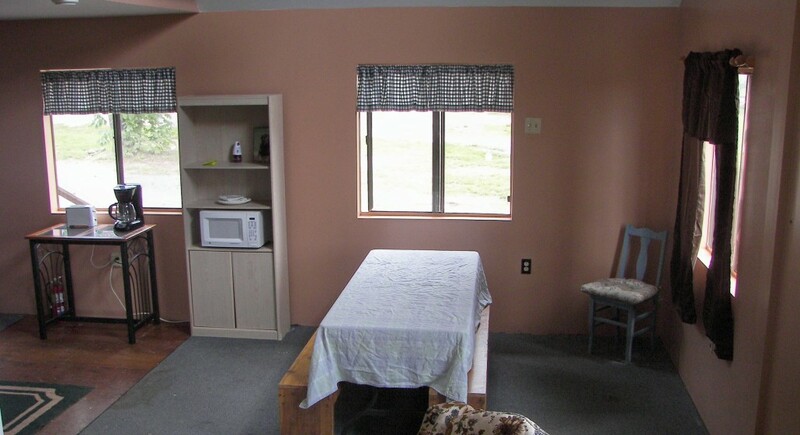 Beds have a fitted sheet, you’ll need to bring covers or a sleeping bag. Bathrooms have toilet paper but you’ll need soap, shampoo, towels etc… The kitchen has pots and pans and other cooking utensils but you’ll need to bring paper plates, cups, forks etc… Central air and heat!